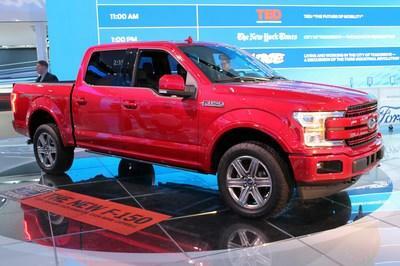 It’s no secret automakers have found big success in special edition versions of conventional models. 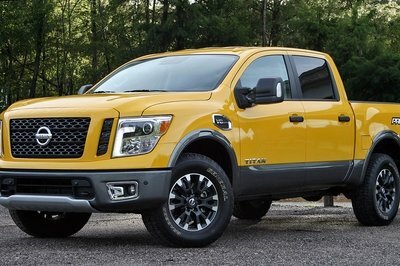 Nowhere else is that truer than in the pickup market. Ram’s latest special edition is this, the Hydro Blue Sport, and it will be the last special edition of the 2017 calendar year. 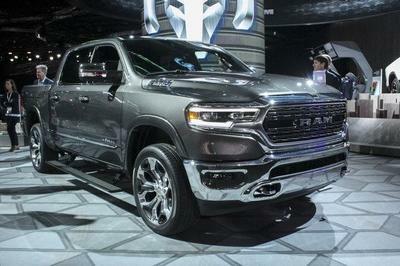 Then after 2018, the all-new 2019 Ram 1500 will be hitting showrooms. But before that happens, expect Ram to continue offering dolled-up versions of its current pickups in 2018. 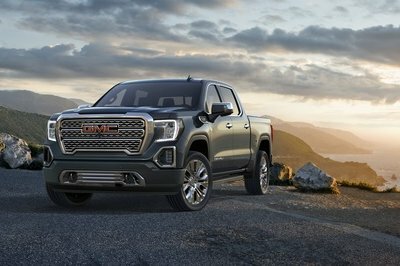 Naturally, General Motors says the same about its special edition Chevy Silverado and GMC Sierra trucks, too. And truth be told, they’re right. We recently spent a week with the 2017 Chevrolet Silverado 1500 Z71 Midnight Edition and found plenty of people staring and making approving comments. Will the Ram 1500 Hydro Blue Sport have the same effect? Tell us in the comments after reading all the details down below. Continue reading for details on the 2018 Ram 1500 Hydro Blue Sport. The 2019 Ram 1500 Is Getting A Split Tailgate! The Hydro Blue Sport is based on the 2018 Ram 1500 Sport trim with the Crew Cab and short bed. Remember that insanely catchy song from 1999, “I’m Blue” from Eifel 65? The one with gibberish for lyrics and that spacey sound that dominated pop music at the turn of the millennium? Yeah, that stupid song is now trapped in my head. Yours too, now. 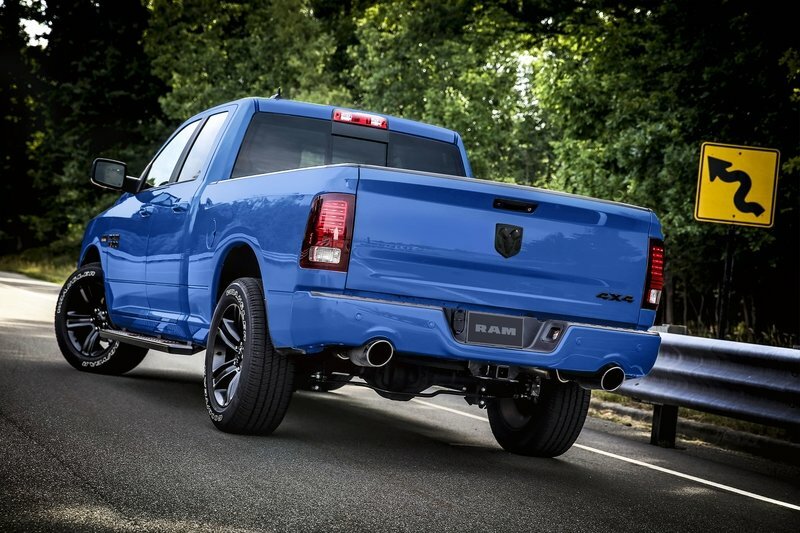 Well, that’s what comes to mind with the Hydro Blue Sport Ram 1500. The Hydro Blue Sport is based on the 2018 Ram 1500 Sport trim with the Crew Cab and shorter, five-foot, seven-inch cargo bed. 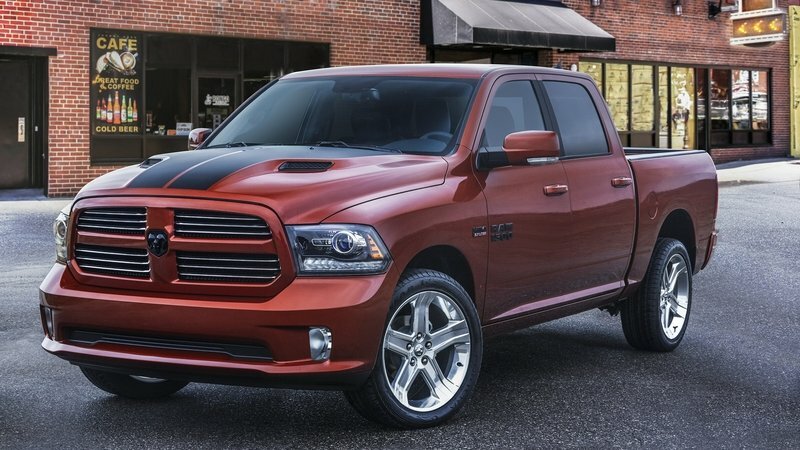 The special edition is only offered with the venerable 5.7-liter Hemi V-8. The eight-speed automatic transmission comes standard, too. Customers do have the choice between 2WD and 4WD. Either way, the Hemi kicks out a respectable 395 horsepower and 410 pound-feet of torque. The truck comes coated in Hydro Blue paint with matching bumpers, mirror caps, door handles, and grille. As for the unique parts, the truck comes coated in Hydro Blue paint with matching bumpers, mirror caps, door handles, and grille. 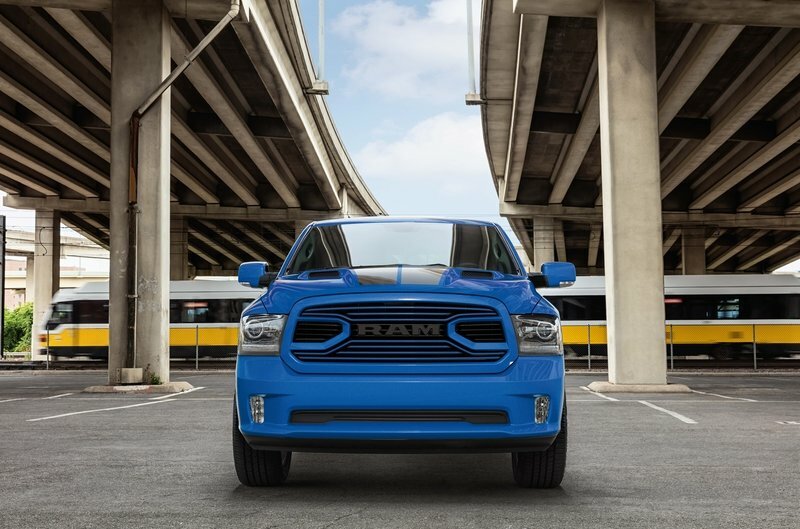 Basically everything else is glossy black, including the grille inserts and R-A-M logo, the door badges, and the rear Ram’s Head badge on the tailgate. As for the wheels, rear-drive trucks come with polished 22-inch aluminum wheels while 4WD models have polished 20-inch wheels. Customers can also upgrade to blacked out wheels, though the sizes remain the same in accordance with 2WD and 4WD drivetrains. Black serves as the base color for the dash, seats and carpet. Inside, the blue theme continues. Black serves as the base color for the dash, seats and carpet. The Hydro Blue hue is seen on the anodized aluminum trim surrounding the HVAC vents, along the center console, and on the door panels, It’s repeated in the contrast stitching in the seats and leather-wrapped steering wheel. The seats are cloth with leather-wrapped bolsters and headrests. Those who want full leather seats can order their truck that way. 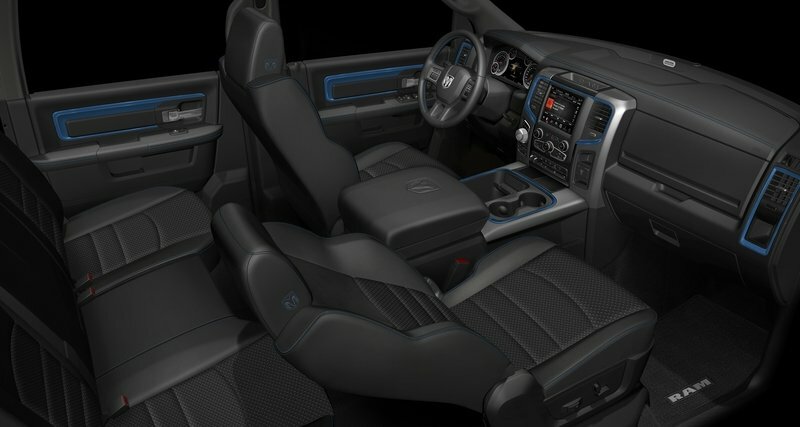 Other factory-added options include Ram’s Active level air suspension, ParkSense, the RamBox storage boxes in the bed walls, side steps, and the blacked-out wheel options mentioned earlier. Only 2,000 will be built and prices start at $47,455. 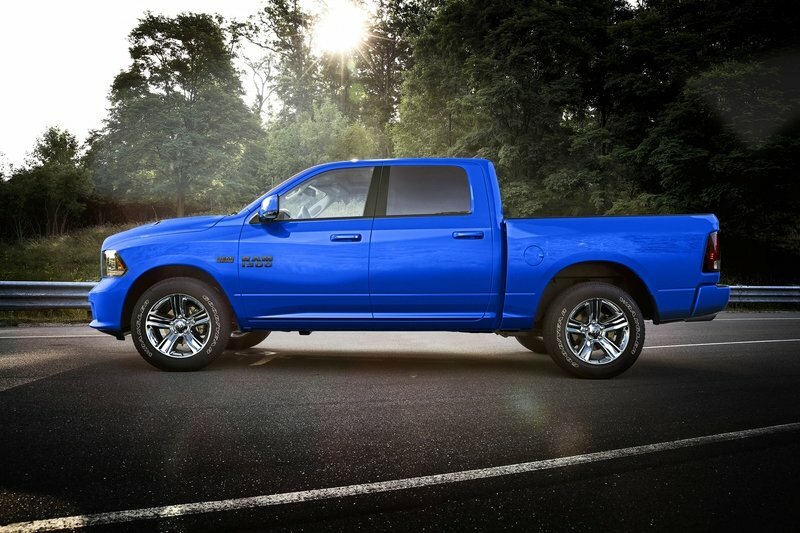 Like any good special edition, Ram is limiting production of the Hydro Blue Sport. Only 2,000 will be built and the order books are already open. 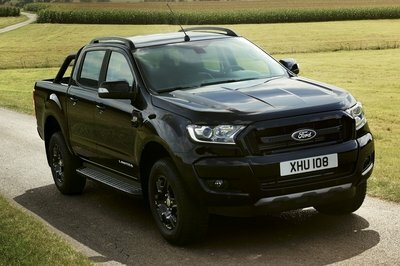 Dealerships will begin receiving the truck before the month is over (November 2017). Ram is charging $47,455 for the 2018 Ram 1500 Hydro Blue Sport, which includes the $1,395 destination fee. Naturally, adding options raises that price. For those wanting something different from Ram, the brand already has the Sublime green, Copper, and Ignition Orange Sport special editions for 2017. So what do you think? Are you blue enough to drive this Hydro Blue bad boy? Tell us in the comments.